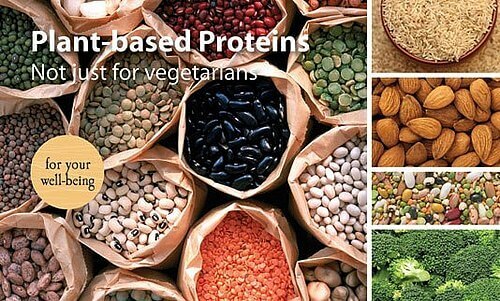 The benefits and opportunities for plant-based proteins to help you stay healthy are ever-present. And it’s never too late to pick up the pace! Plant-based proteins – vegetables, beans, nuts and more – have been shown to improve energy and lower the risk of heart disease. They can also elevate mood and reduce stress. The list goes on. Plant-based proteins can ease the effects of rheumatoid arthritis, help you lose weight, lower cholesterol, and help fight off diabetes. At The Supplement Store of the Synergy Spa of The Guyer Institute, we carry our proprietary product called SynerG PRO. It is a concentrated powder supplement that can quickly raise your intake of plant-based proteins. Patients who use it often comment they can’t believe how much better they feel within weeks. The opportunities are there if you want to live longer, live healthier, look better, and feel better. At home, at work, and at play. Our team at The Guyer Institute and Synergy Spa works closely with you to reach for and achieve these improvements. Some studies also show that that plant-based nutrition may lower the risk of breast cancer in women who began increasing their intake as teen-agers and young adults. That is eye-opening news, indeed. You don’t have to go vegan, but any move in that direction can be beneficial to your health. Plant-based protein supplements at The Supplement Store mean changes in your diet, of course, but there are many choices so you can find what tastes good to you – and still has the desired results. People who reside where plant-based proteins are more accepted and enjoy just live longer and with more fulfillment. One study in the U.S. looked at a controlled corporate setting, an environment where people work hard, deal with stress, and are always busy. In some important research, 10 corporate sites were selected from across the country – California to Georgia. A select group of employees put on a plant-based nutrition was carefully studied and compared with the control group participants who had no diet restrictions. How’d they do? One reason: plant-based proteins have more of the key amino acids that have been shown to reduce blood pressure and improve mental clarity. The time is now to increase the amount of plant-based proteins you consume or take. There is no substitute…to advance your quality of life and sustain it.